You just started college and after a few weeks in, you’re sick of the noodles and cafeteria food. Sure, you mentally prepared for this, but the monotony is killing you. Don’t worry about it. 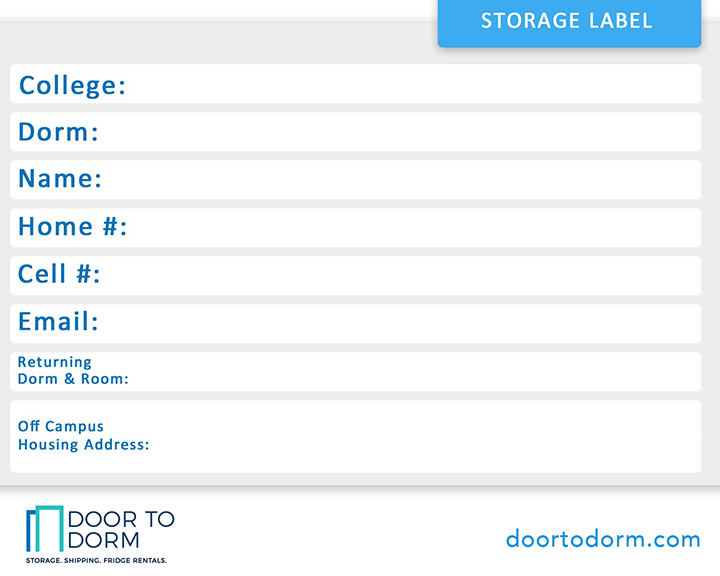 Door To Dorm has you covered. Time to remix your meals with some easy, affordable, dorm-friendly recipes. Pour the canned chicken into a food storage container, mash the chicken with a fork to break apart the chicken chunks. Pour the rest of the ingredients into the food storage container and mix everything together. Then, serve over your favorite carb. 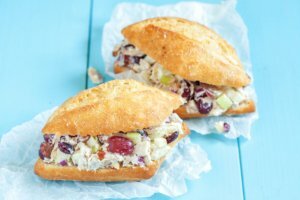 Store the leftover chicken salad mix in your microchill fridge so you have meals ready for days. With so many ways to enjoy chicken salad, it is the swiss army knife of dorm food. We recommend you try this chicken salad mix with croissants or spinach wrap tortillas. For a savory version, replace the raisins/ dried cranberries with chopped tomato and add garlic powder or garlic salt. Add a side of salad or a bag of baked chips. Trying to avoid the freshman 15? An easy and convenient way to add healthy nutrition into your life is by eating breakfast. 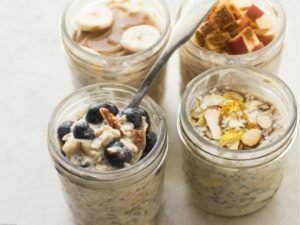 You can save time in the mornings by meal prepping with overnight oats, so that you’re not late to class. This post on Food Network’s Healthy Eats gives you tips on how to create appropriate portions and play up your oats with different flavors. 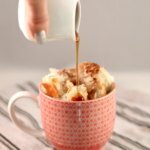 This yummy recipe shared by Pretty Prudent is a lazy student hack for a warm and sweet confection! Perfect for those chilli days in your dorm or when your sweet tooth is kicking in, you’ll enjoy this morning cup of french deliciousness. Bon Appetit! Having a movie night with your roomie? Kick the night up a notch with some cheesy microwave nachos. Tablespoon.com has the scoop on this 5-minute recipe. 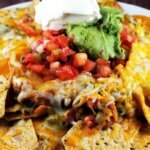 Indulge in some messy, gooey goodness, because these microwave nachos are all that and a bag of chips! 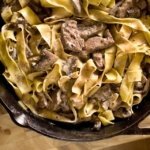 If you want to impress your friends with your dorm cheffing skills, a crock pot beef stroganoff is the way to go. The Spruce gives you the breakdown on how to prepare this dinner extraordinaire. Knock their socks off by pairing dinner with these entertaining ideas for dorms. Oh you fancy, huh? Have awesome dorm room recipes of your own? Reach out to us on Facebook or Twitter and let us know!